Welcome to the online home of the Topeka Area Catbackers. We're glad you're here! Take a moment to look around. The Topeka Area Catbacker Club is co-sponsored by the KSU Athletic Department and the K-State Alumni Association. Catbackers are volunteer boosters from the Topeka, Kansas area who join together as an organized club. Started in 1982 as the Kaw Valley Catbackers (KVCB), we changed our name in 2011 to recognize members with proximity to Topeka and its surrounding communities. Today Topeka Area Catbackers, TAC, has one of the largest memberships of all Catbacker clubs. We welcome membership and participation of any K-State fan from any location. 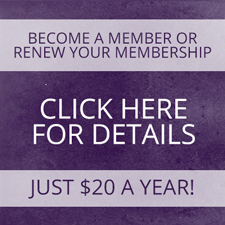 Membership includes newsletters, opportunities for bus trips to football games, and discounts to sponsored events. Your membership dues cover the cost of mailings and contribute to the Mike Ahearn Scholarship Fund for student-athletes. Within this website, you will find details about upcoming events, photos, our newsletter, and of course membership information. Take a look around and if you have any questions feel free to contact us by clicking on the contact us tab. We hope you can join us. Best wishes and Go State!